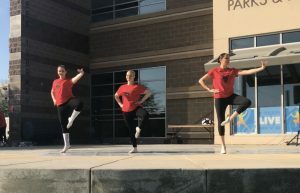 👯‍♀️Adult Ballet – 17+ in Queen Creek!! Wednesdays at 7:45-8:30pm beginning January 24! 🤩New to ballet or want to get back into dance? Students learn basic to intermediate ballet technique and get a great work out! All levels of dance are welcome. Ballet shoes are recommended. 🤑Not able to commit to a session: DROP-IN!